Mr C love and I both really love Thai food so we’ve recently been visiting some new restaurants that others have recommended us to try. Yok Yor was recommended by a friend who mentioned they’re one of the cheapest Thai places in the CBD but still manage to serve really great food without a huge crowd and a line snaking outside. This was one of our first visits to a Thai restaurant in months because we were in Europe so we went for the usual personal favourites such as the Pork Boat Noodles (above). 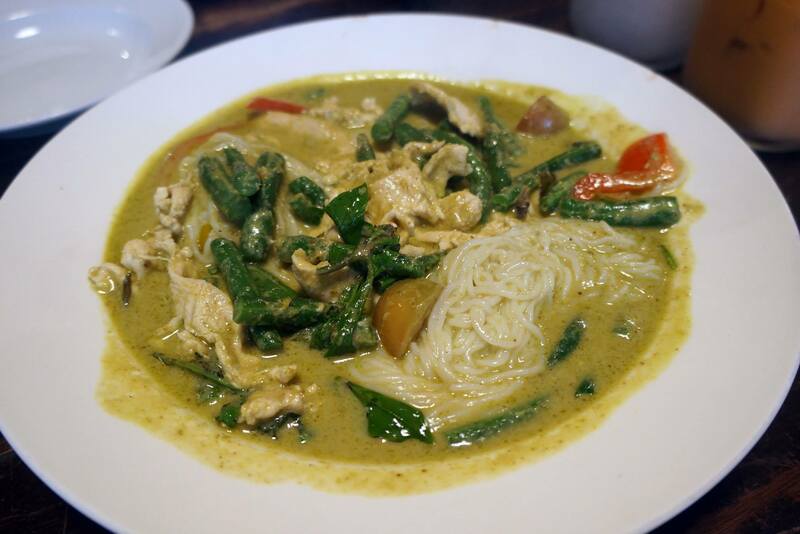 It doesn’t quite match up to the boat noodles at Spice I Am in terms of taste but for the price (under $8) it was a great choice regardless. I also really wanted some more meaty dishes so we decided to get the Grilled Beef with a side of rice. 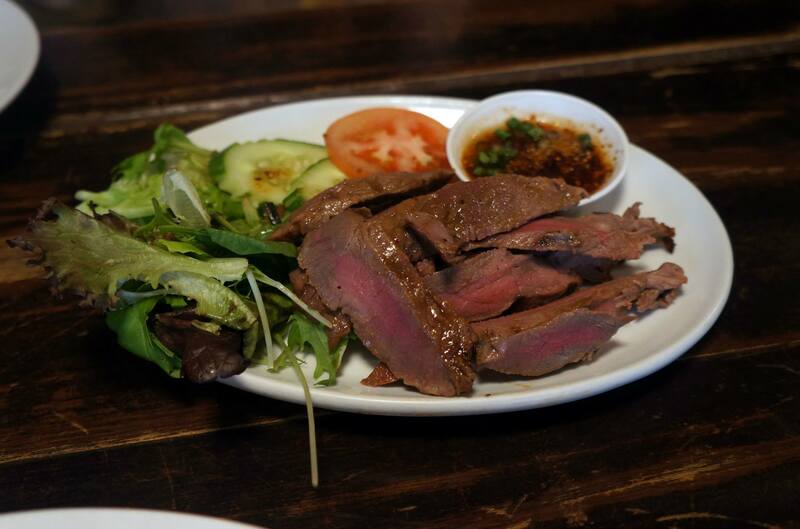 The meat was cooked perfectly to medium and the dipping sauce is my favourite Thai style soy and chilli dip which is perfect with this kind of grilled meat. I had a feeling we over ordered because the serving sizes were quite big! 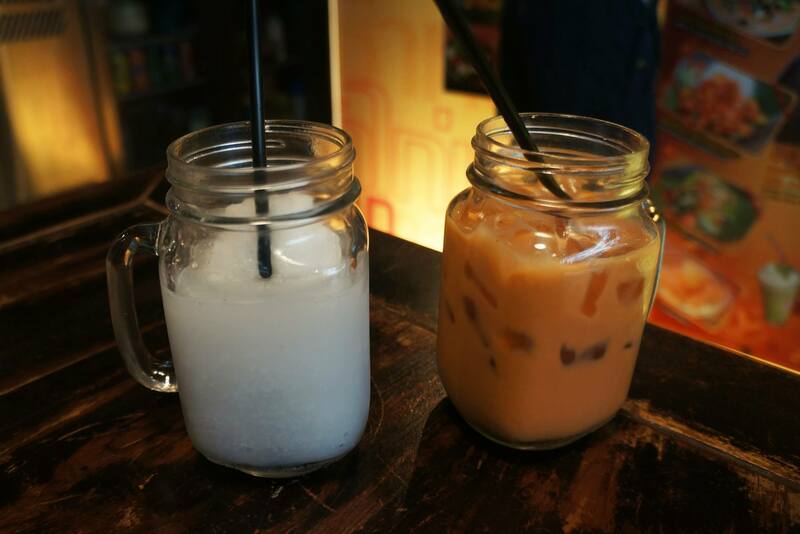 I really loved the drinks here because they’re served in cute little jars but the best part was definitely the coconut which is more of a coconut slushie. I’m obsessed with coconut so having something so refreshing and cold to help us cool off the hot day was the best thing I could ask for. I’m still quite surprised that Yok Yor isn’t more busy than it is but that might be because of the slightly out of the way location and because of the abundance of Thai restaurants in the CBD. I personally would probably come here simply because there’s not line and the prices are much cheaper than the others. A meal for two can easily be had for under $30 which I think is really good deal considering the quality of the food that you can get here as well as the serving sizes. All of that for under $30?! 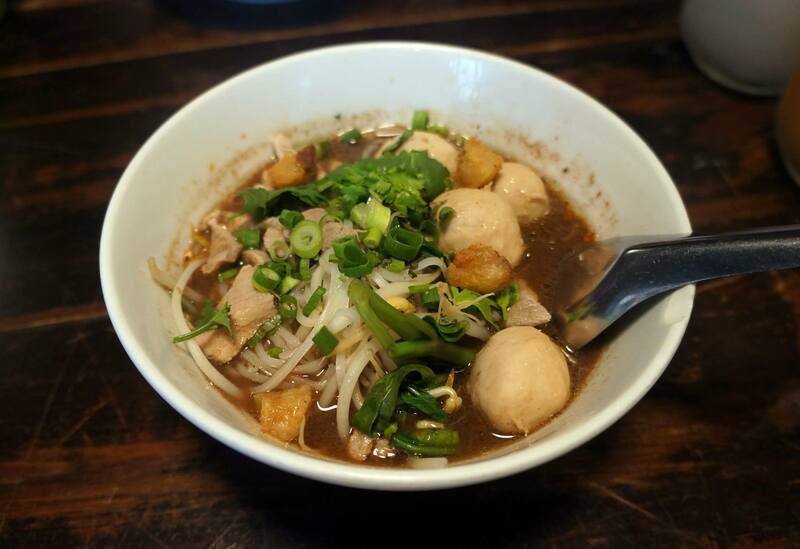 I love boat noodle soup but I still haven’t tried Spice I Am’a version but that a bargain for under $8! Might have been a bit over $30 for our meal since we had drinks, but it’s definitely cheaper than Home/Chat Thai! i love the pork salad here! so damn delicious! 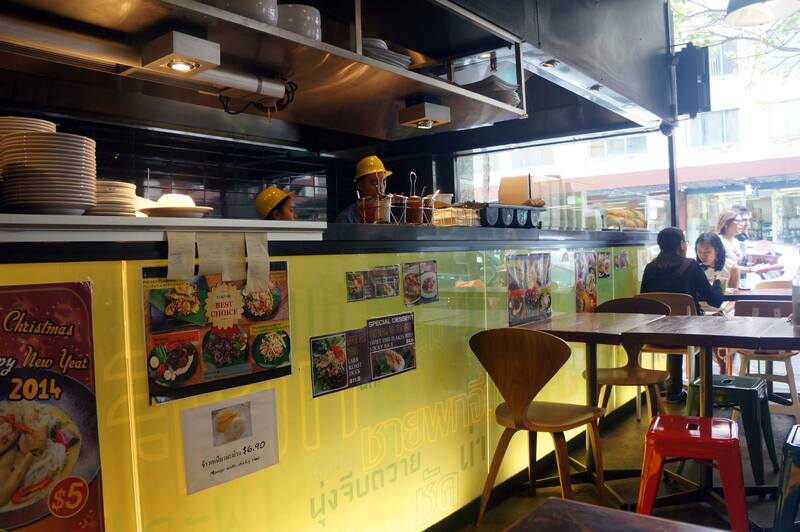 I’ve heard that Yok Yor serves really authentic Thai – how does it compare to more established places like Holy Basil/Home/Chat Thai? Definitely not as ‘refined’ as the others but the food is pretty authentic!